How can I upload testimonials/reviews manually to the review system? Click on the ‘Reviews’ link on the top menu. Click on the blue '+ Add a Review Manually' button at the top-right. 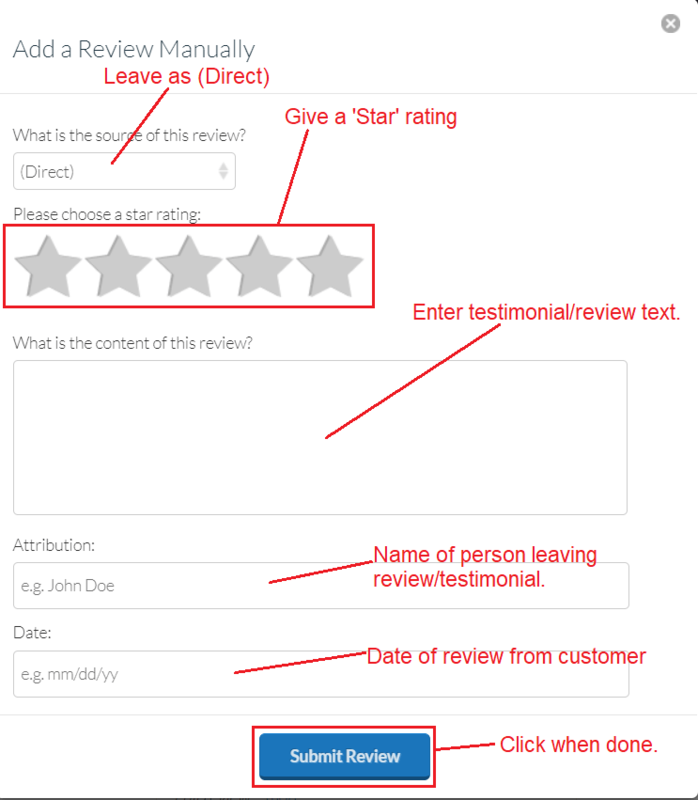 GetYour.Reviews manually upload reviews and testimonials.